Attended medical School 1985-1989 and Residency at the University of Kansas from 1989-1992; From 1995-1997 he worked in Papua New Guinea, Kenya and Nepal as a volunteer physician. 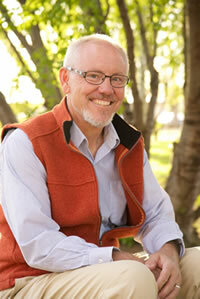 He has been with KVH FM-Ellensburg since 1997 and a WRITE Preceptor since 2000. Family Medicine: Bruce A. Herman, M.D. • Don Solberg, M.D. • John J. Merrill-Steskal, M.D. • Rick D. Vaughan, M.D. • Krista Summers, M.D. Internal Medicine: Larry Birger, M.D. • Jamin Feng, M.D. 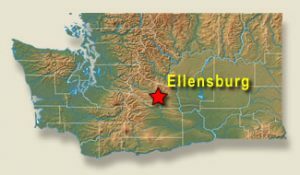 Clinic: KVH FM-Ellensburg was established in 1935 and has been a WRITE site since 2000. 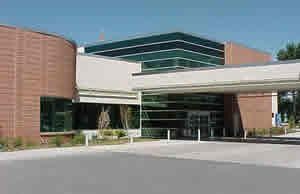 The 32 members of the clinic staff include six board certified physicians, three physician assistants and one nurse practioner, providing care to over 24,000 patients annually. Physicians also serve as preceptors for students paticipating in the RUOP (Rural / Underserved Opportunities Program) and TRUST (Targeted Rural Underserved Track). The clinic has on-site laboratory services and in 2009 the clinic became affiliated with Kittitas Valley Healthcare. Students will be scheduled in a Continuity Clinic with all providers where there will be access to electronic health records. In addition, students will participate in patients’ hospital care including surgeries. One day per week will be spent with Pediatrics and Obstetric patients with the opportunity to work with potentially 50 deliveries during the course of the program. Students have an opportunity to spend time with hospitalists and to participate in a community Free Clinic which is four days per month. Psychiatric components will be completed with continuity patients. KVH now hosts family medicine residents from Central Washington Community Health Center – Ellensburg. Housing: Student housing, located in residential area, is available to students on a shared basis. The area‘s culture is influenced by its history, the presence of Central Washington University, and the economies of the region (livestock ranching, horse breeding, orchards and grain crops, logging, and food processing). Outdoor activities include almost anything connected with water or snow, including superb fly-fishing, rafting, hiking, and skiing. In addition, professional, community and university theaters and auditoriums provide the stages for a year-round schedule of plays, concerts, dance recitals, operas, musicals, films, and lectures. Art galleries and museums can be found on the CWU campus and in the community, featuring fine arts, crafts, pottery, weaving and sculpture. 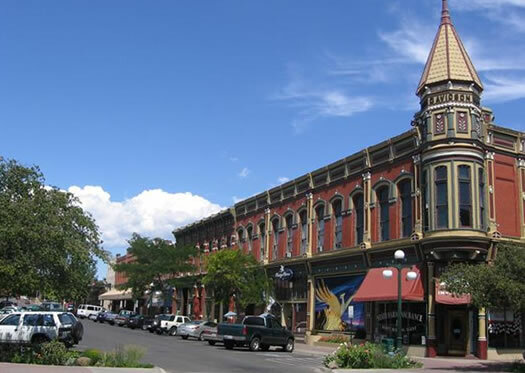 Downtown shopping features a blend of antiques, art galleries, and unique shops. The snowcapped Cascades, rolling foothills, rivers, alpine lakes, desert terrain and fertile valleys form a diverse landscape. The mountains screen much of the rainfall, giving Ellensburg a dry climate with four distinct seasons. There are about 300 days of sun per year and the average precipitation per year is 8”. Temperatures vary with the time of year: January ranges from 34° to 19° while July temperatures range from 83° to 53°.